Making systems of various kinds perform well is what automatic control is all about. We are some 40 people in the division that teach this subject to more than 1000 undergraduates per year. We also do research that aims at covering a broad spectrum from industrial applications to development of new theories. Visit our pages to learn more about us, our research, courses, publications and the spin-off companies our research has resulted in. Oskar Ljungqvist's and Daniel Axehill's research about autonomous trucks is given attention on the university homepage. The MarineUAS network, in which our division is a partner, has produced a video describing the research within the network. Vinnova has granted funding to the innovation environment Agtech 2030, with Fredrik Gustafsson as one of the co-applicants. Lennart Ljung has been awarded the Great Gold Medal by the Royal Swedish Academy of Engineering Sciences (IVA). 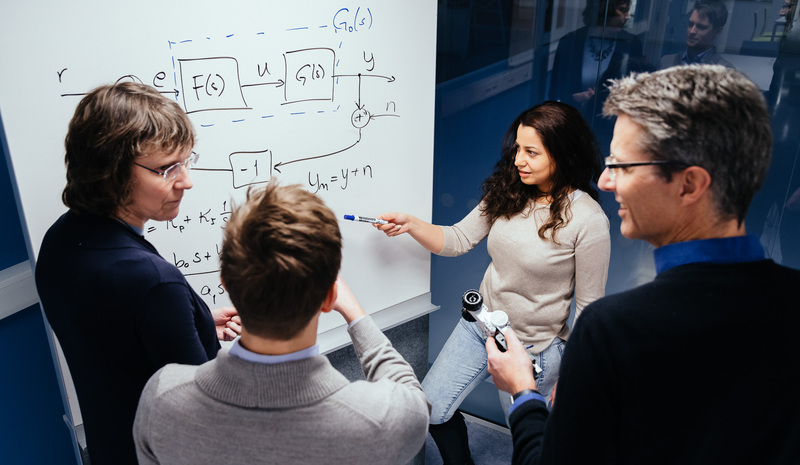 Fredrik Gustafsson and Daniel Axehill have received a Vinnova grant for a new project called iQDeep, which concerns machine learning for heavy duty vehicles. This is a joint project with Michael Felsberg and Scania.